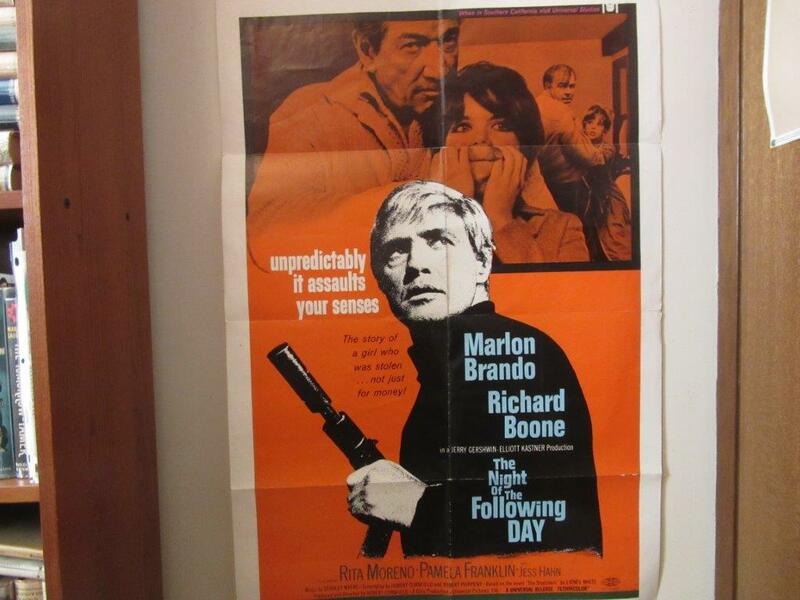 The Night of the Following Day, 1968; from what is often referred to as Brando’s ‘lost years’, but featuring some of his most interesting, risky, deep roles (The Nightcomers, Reflections in a Golden Eye). A kidnapping extortion plot with failure and doom written all over it given the motley crew of kidnappers. Marlon Brando as Bud the wised-up hip chauffeur. Richard Boone as the sadistic double-crossing sadist. Rita Moreno as the for-real doped up driver, Jess Hahn as her loser-brother and Bud pal. Pamela Franklin as the innocent nubile victim. Every character has problems, defects, and foibles in this bleak psychological caper-thriller. A very deceptive ‘simple’ film, heavy on European look, ambient sound, and chilly atmosphere. The art director Jean Boulet and Willy Kurant (cinematographer) are chiefly responsible for the use of light, shadow, color, and settings. Dark, bleak. odd, and at times dream-like. The moody, quirky jazz score is flat-out one of the best, weirdest ever committed to a film; it is by U.K.’s Stanley Myers who gives the perfect undertones and counterpoints to what characters are thinking and feeling. A kudo too, for the omnipresent sound of the ocean by the beach digs where most of the action takes place; it echoes the hollowness and craziness of the characters’ lives. I should also put a good word in for Gordon Pilkington who edited the tense action and moods, often intercutting leaving the audience hanging from a previous scene. Then there’s the story of Brando kicking director Hubert Cornfield off the picture’s ending when Boone, of all people, took over for the bizarre dramatic action scenes! The ending is totally unforeseen and there are at least two ways to read it. I favor the 2nd, less conventional interpretation and think it the better, most logical one, knowing as much as I do now about consciousness. My impression on seeing the movie all these years later after a strong first impression is Wow! Brando was never better and more effective. 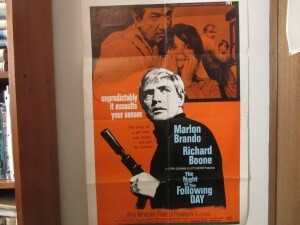 You’ll find bits of The Wild One and On the Waterfront in his blond-haired, fantastically-muscled-for-44 self/persona. He is the most interesting character always in this film though everyone else can be identified or sympathized with. (Nice casting and performances all-round; Boone is meanly delightful and wicked.) Brando has never looked better/was very much in his prime/his acting chops wonderfully and coolly intact. This film is an overlooked gem of filmic experience, very European in flavor (shot on location in seaside France) with nice insertions of French language and a nice-guy gendarme who tragically falls for Vi (Moreno).